One of the most innovative projects carried out in recent years by SBM Machinery's Technological Sector is an in-depth study of the hard materials contained in porcelain tile bodies. 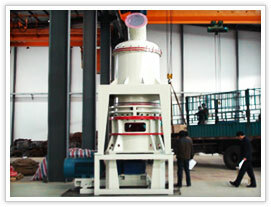 By drawing on thirty years of experience in dry raw materials preparation and applying experience and technologies from other sectors with a view to assuring complete control of the quality of the finished product, SBM Machinery has developed complete drying/micronization lines which are extremely advanced in terms of automation, management and operating reliability. The new Micro-Dry lines have a production capacity ranging from 5 to more than 35 ton/h and have a central core consisting of a dryer/mill machine and a latest generation dynamic separator. An important result both from the point of view of the plant (more compact line, lower management costs, etc.) and of technology (total lack of pollution) is the possibility of using raw materials with a specific moisture content of 8- 10% and a particle size of 0-5 mm (but with the possibility of using even coarser material), feeding them directly into the mill and thereby avoiding the problems associated with conventional drying systems. Although the mill is the heart of the system, the true novelty of this technology is the precision that con be obtained with the latest generation dynamic separator. It is the perfect sizing of these two machines that makes it possible to have such a fine (below 50 µm), precise and consistent particle classification, thereby delivering the quality and structural compactness that porcelain tile requires. The know-how behind the design of the entire line of the plant is in complete harmony with this priority, ie. to obtain clear separations with residue percentages close to zero. The productive continuity of the mill and the precision of the high-separation MS dynamic separators give the line the technological potential it requires . The entire plant, which is naturally complemented by the mixture preparation equipment and the storage and tank truck loading equipment, represents a step forward with respect to current technology. It brings major improvements in terms of technology and process ensuring continuity and repeatability of the mixes. Raw materials preparation is based on the use of continuous extraction and weighing systems with a tolerance of just 1 % and fully controlled by electronic supervision.